First up one anon (who has no social media for their artwork) did this gorgeous sketch. I really love their art style, it's super delicate and flowing and detailed and lovely. And then I got a second drawing which is just soft and wonderful. How cool is this colouring style...like a watercolour! This anon didn't share any details of where to credit them, so I'll update this if I ever find out. Then the third drawing made me laugh, a lot. 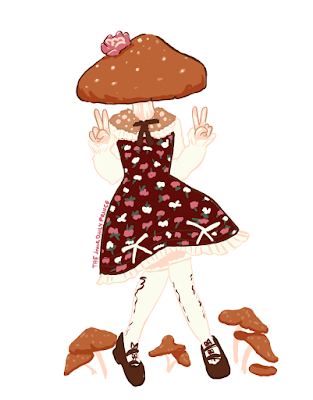 You see, when I posted up my coord I was a bit self-conscious about the size of the beret on my head, so I pointed out that I knew it made me look like a mushroom...so I got drawn as a kawaii mushroom! So freaking hilarious - I showed James and he literally lolled, which was pretty epic. This is by The Daily Prince, and that link goes to their awesome tumblr! 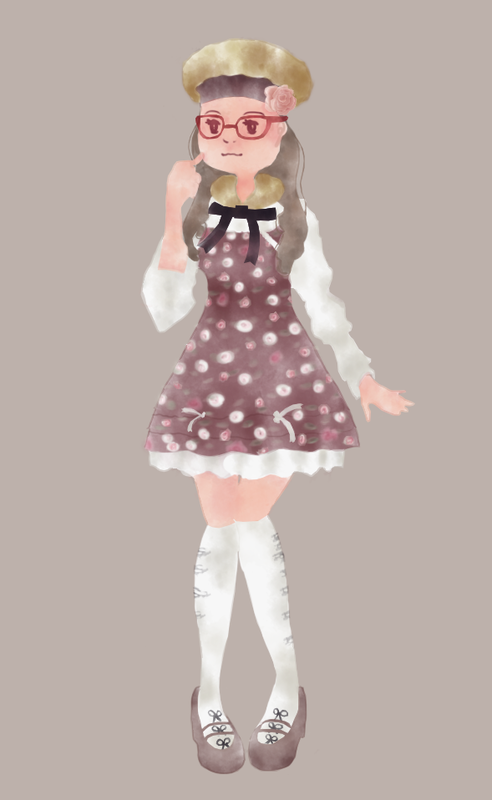 I then got a drawing from jeilieenart (click their name, it goes to their gorgeous Instagram) which is also super delightful, so mori-girl looking! 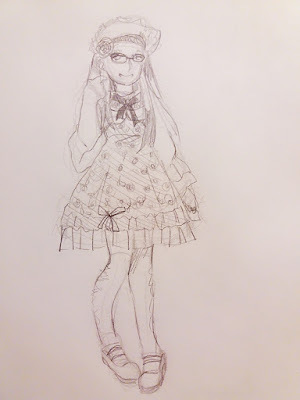 At this point, I didn't expect anyone else to draw little old me but another anon did as well! Seriously, getting yet another really lovely drawing was a big ego boost, lol. 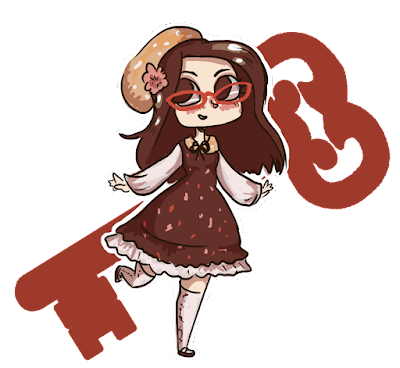 This anon drew so many people from the thread and every drawing was super adorable...click here for their tumblr! I have to say, much as CGL has a bad rep with is sometimes quite well deserved, there is a lot of good community on the site as well. Now I've got to go and re-learn how to draw tolerably well so I can contribute to the good community aspects! PS If you are the artist of any of these and want me to add/change credit or remove them, please let me know, and thank you again for the amazing art!